Review writing is the easiest and fastest way to earn money online for bloggers. Now a day’s most of the bloggers are making some good income by writing reviews on their blog as required by the advertiser. So here I am going to share the best sites to get connect with the sponsors, then start writing reviews and get paid. All most all the sites mentioned below require a PayPal account. This is the site for those you have blogs or websites. 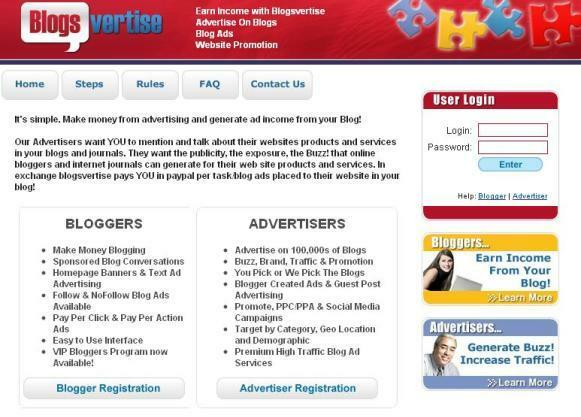 Here there is a great opportunity for both advertisers and bloggers. If you have a website or a blog and you wanted to earn bucks from it, then this site will definitely gonna help you out. All you need to do is just submitting your site to sponsoredReviews.com then the advertisers will look into your blog and they will contact you and they will ask you to write a review about their own requirement. And that’s it you are ready to be paid for it. 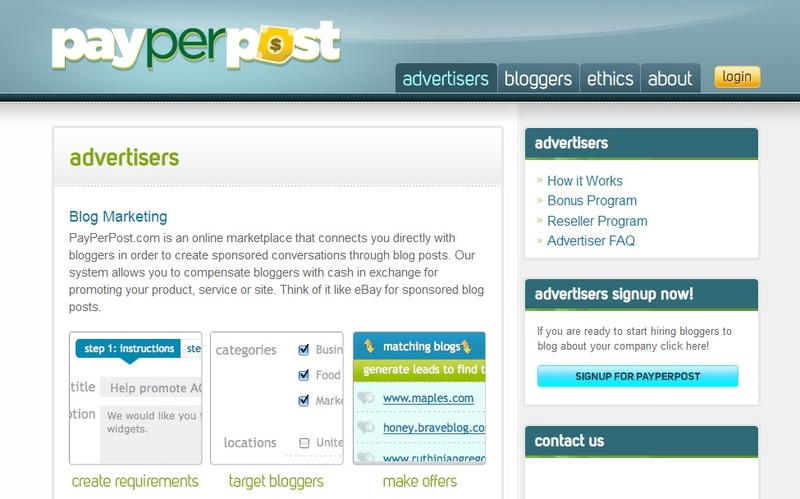 Bloggers can also contact with the advertisers directly. Blogsvertise has been yet another a great site for bloggers. In order to get started you need to register your blog in Blogvertise and wait for moderation and once the reviewing of your site has done and when they accept your blog. Then you are ready to earn money. Blogsvertise administrator will assign the writing task through email that include on advertisers interest on what to publish in your blog. You don’t have to endorse the website product/service. This is the best and easy to use and earn money as long as you have a blog. You should submit your blog to them. Once the site gets accepted, then you are asked to write sponsored posts on your blog and get paid for it. Payment is made via PayPal and the minimum payout is $50. 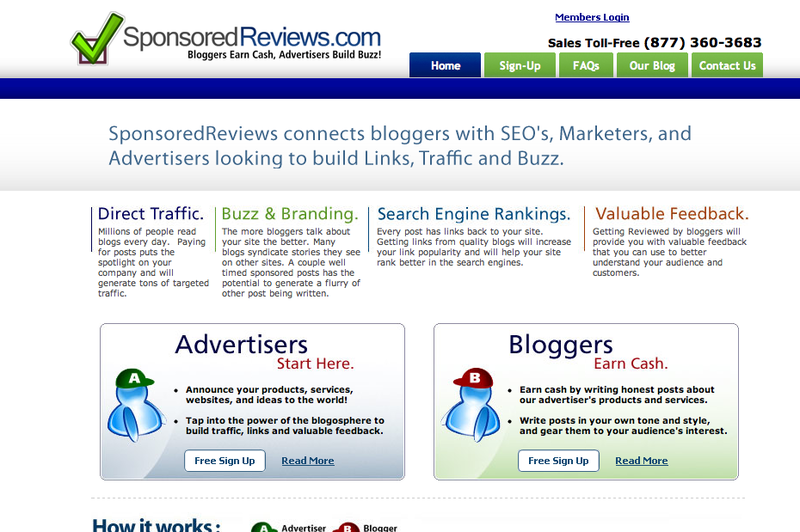 This is the best site in the Sponsor Review Market that pays you money for writing reviews on your blog. Once your site gets accepted, you will receive assignments on a weekly basis on your blog profile. You will receive your payment via PayPal for every two weeks. 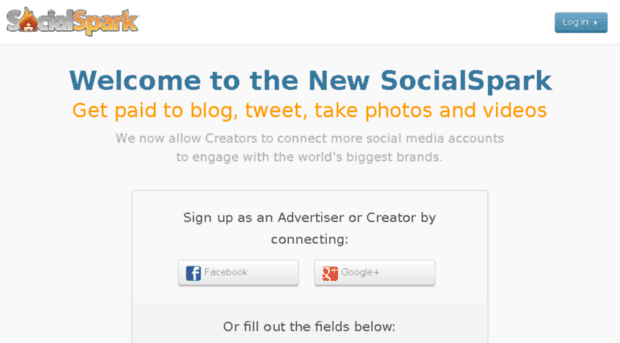 SocialSpark is from the same company Izea.com which has also created the PayPerPost. You can either sign up as an Advertiser or Creator. Once you sign up as Creator, then you are eligible to take part in reviews. It has many Advertisers who can hadpick bloggers to promote their products or services through sponsor reviews or by just displaying advertisements. 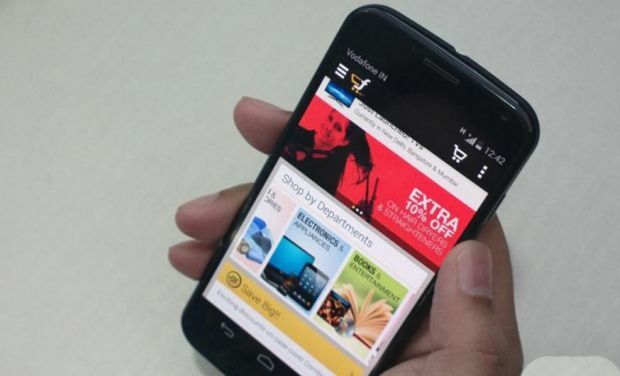 Myntra, one of the shopping retailer in India, will be the first e-commerce firm to shun desktop and mobile websites and move its business to mobile application or app. Myntra which is owned by Flipkart may also the follow the same within a year. So, by this app-based strategy, one could not use these websites on a desktop or a browser on any mobile. The only way to access these websites is a mobile application or app. Myntra will only be accessible though a mobile app from May 1st. But nowadays most of the e-commerce sites are present on all the platforms, but Myntra and Flipkart are only the first e-commerce sites to follow app-based strategy. A tweet from Flipkart's founder says all. "If one does an unemotional financial and strategic analysis, mobile-only is obvious". According to experts, the increasing mobile internet traffic has let to move towards the app-only model. According to Myntra, around 70% of sales comes from the customers using Mobile App. After the continuing effort from people all around the world contribute to Net Neutrality, here comes the another word called Device Neutrality. Like net neutrality, Device neutrality came into existence when one of the top e-commerce retailer in India i.e. Flipkart who also owns Myntra is going to follow the app-only strategy. By this, one can only access these sites by only mobile app and could not be able to access from any browser either in desktop or in a mobile. But this does not make a sense to move from 14-inch desktop with a 5 inch or less screen will definitely hinder the user experience. Now a days, though smartphones are used by everyone, but the desktop version seems to be smooth and convenient to shop, where in a mobile application the images would not be so clearly visible as one can see in desktop. And even in desktop, one can open multiple windows and compare the products and go for the best among them. And another major problem with app-base approach is Payment. Yes, because one would not be sure about the security levels of mobile payment gateways. Though one would prefer to choose his device for shopping and these sites should follow Device Neutrality. Asus has made some avid fans, by releasing Asus Zenfone 4 and 5. Asus Zenfone 5 was the fastest selling mobile of the year. It has got the best features within the affordable budget. And now after this huge success of Asus Zenfone 5, they have come with the new Asus Zenfone 2 which is the world’s first smart phone with 4 GB of ram one could not imagine. With this it will definitely redefine our smart phone experiences. And here is the 5 reasons why I would like to go for it. The first reason why Asus zenfone 2 should be preferred is of its 4GB ram. As technology keeps on changing and upgrading, one should also need some specification in mobile so use such technology. For example, some people are game lovers and they want to experience the real graphics of the game and to play without lagging. So to experience such high quality gaming one should definitely posses a higher ram in their Smartphone’s and Asus, with its 4GB RAM will definitely help them to experience high speed gaming. This spec of the phone will definitely satisfy the buyers who are game lovers. Asus Zenfone 2 now packs LTE connectivity for faster mobile data transfer and to watch buffer less streaming. And now a day’s LTE connectivity is common in high range smart phones, but when it comes to Asus previous phones like Zenfone 4 and 5 was lacking this feature. It supports band for both from smart (2100MHz Band1) and Globe (1800 MHz Band 3). In upcoming days as LTE will be seen commonly around the corner of the world, one should not worry about it as it has LTE. Now a day’s most of the smart phones have 2000mAh or 2500 mAh, but this new Asus Zenfone comes with the capacity of 3000 mAh battery which is also the one of the best feature of it. It feels very irritated when our battery drains in very less time. But with this new Asus Zenfone 2 you will never feel like irritated because it gives much longer battery life than any other Smartphone’s. It feels so frustrated when the mobile takes hours to charge and minutes to drain. But with this brand new comes with the new Boost Master Technology which makes you “Less Time Waiting, More Time Doing”. This feature makes your phone charge double the speed of normal smart phone. This Technology charges devices much faster than traditional speeds. It actually helps you to charge 60% in not more than 39 minutes. And this is the best feature of the Mobile. The price, doesn’t matter how extraordinary and monstrous specs are but if the price is not within the affordable budget that would be the most disappointing thing one would think of. But no need worry about it because Asus Zenfone 5 which has also got the extraordinary features at that time was within the affordable budget I.e. 8995. As the mobile is yet to be launched soon and has not decided about the price, but the expected price of the Asus Zenfone 2 is 12995, if it is the real price, then that would be really great to experience such an amazing features within such an affordable budget. Zenfone 2’s 13 Megapixel real and 5 Megapixel front camera captures high resolution photos with Zero shutter lag. Whether it is night or morning you will see the accurate color of the picture. Zenfone 2 is powered by an up to 2.3GHz, 64-bit Intel® Atom™ Z3580 processor. Operating System: Brand-new ASUS ZenUI with Android 5.0 Lollipop. Asus Zenfone 2 is proving to be the next Smartphone generation and will definitely create a success in the smart phone segment. You find a lot of apps in Play Store and Apple Store which you use them for a specific purpose.They not only prove to be useful in various circumstances like entertainment, gaming and navigation but they also help you to Earn Money. Yes! !, you heard right. There are various apps by which you can earn money by doing simple task.But some of them are fake ones, so be aware of those. Now, here I am gonna share some Best Android Apps To Make Money Online For Free. Check It Out!! Checkpoints is the "App That Pays You Back". This app is available for both Android and iPhone users. For earning gifts and rewards all you need to do is snag points by checking in with the checkpoints wherever you shop and scan any product using Barcode scanner to earn points.If you make more points you get more money. You can also get points by referring friends and playing bonus games and you can redeem it in the following way's like to earn gift cards, game point credits and free merchandise instead of paying cash directly. And start earning money instantly. lets you to do this,it lets you browse Sponsored Apps Hand Picked by WHAFF and reward for downloading it. I can say this is the best app with a huge rating of 4.5 on Google Play Store. All you need to do is just login WHAFF Reward with your Facebook account or create a separate ID for it.Browse for different Apps shown by WHAFF and download them whatever you want and you will be paid by sponsors. Get your cash via PayPal or Gift Cards like Amazon Gift Cards, Google Play Gift Cards, Xbox Gift Cards and many more. It is the best app I have ever seen, because this app pays you money just for unlocking your mobile phone.What could be great more than this! .All you need to do is just installing the application and make sure your Data Connection is ON. And that's it you are ready to earn money. Just unlock your phone and you will find sponsors add just check it out to earn money. You can easily earn Rs.300 per month just by unlocking your phone. You will also be paid if you refer your friends. If you refer your friends a lot, then you can easily earn Rs.1000+ bonus. 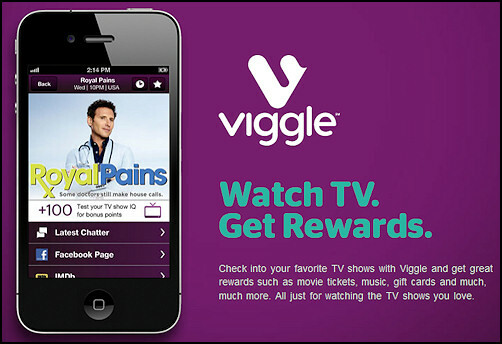 The viggle App lets you earn free rewards just for watching TV and listening music.This app is available in both Android and IOS smartphones. Just download this amazing app into your smartphone and watch your favorite TV shows on your mobile and listen to music and get paid for doing them.Collect your point and redeem them through gift cards and many more. If you ask me best among these apps? 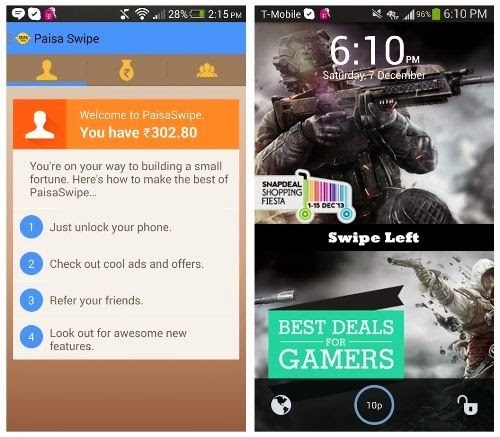 I would definitely suggest you to go with WHAFF Reward and Paisa Swipe Beta which are just doing well.. There are many survey sites that pay money for doing surveys.But most of them are spam.So one should be aware of such sites.Here is a best site which is paying money to the surveys from 2006. 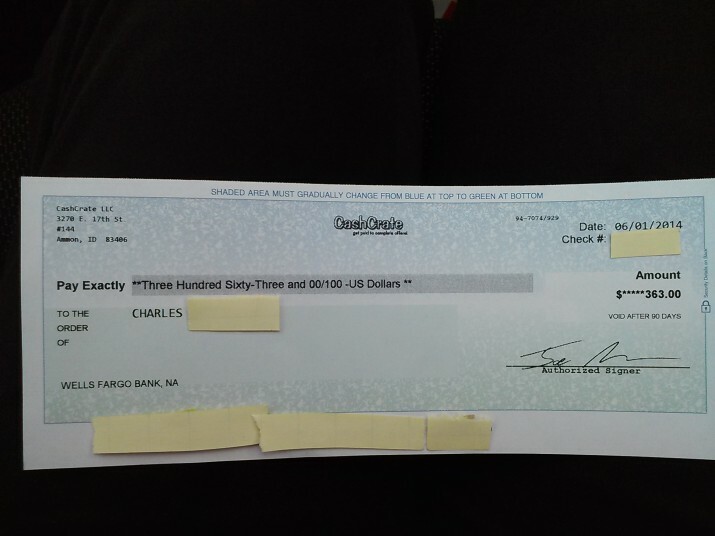 "Cashcrate" is the best site to get paid for simple surveys. First go to the crashcrate site sign up for free.You will get $1 free for sign up. click Here for sign up for cashcrate. Just doing surveys will make you money,but to earn more money referrals is the best way. You get 20% of what your referral make and 10% of what their referral make.Refer more Earn more. By doing the above simple steps by spending just 20 minutes daily you can definitely earn $50 to $100 per month. Minimum payout is $20.Your payment will be processed by 20th of every month by cheque to the given address. As you get your payment by cheque don't forget to enter the correct details of your address. Most of the sites are spam.This is the best site than many other sites for paid surveys.So i suggest you to go with this site. Now a days blogs have become more fascinating and popular platforms.But you will succeed only when you get traffic to your blog.Yes,Traffic is the most important thing one should consider while blogging.Let's talk about how to generate traffic to your blog. The very first thing you should do, to get traffic to your site is good SEO. Yes SEO plays an important role to get traffic to your site.So one should know about the basic seo techniques to get traffic to your site.To understand better on this topic,here is a guide of basic Search Engine Optimization Techniques. This is also a another great way to increase traffic to your blog.By Blog Commenting,you not only get traffic but also you can built backlinks.Backlinks is the best way to boost your Alexa rank. Find the blogs which have a greater PR and start posting your comments to their posts that you are aware of.Mostly find the blogs that offer CommentLuv.By commenting on commentluv enables site,allows a link your recent post.Do not just comment like 'Thank's ,nice post'.Instead read the article thoroughly and understand it well,then try to comment something related to it.Because,sometimes comments may be considered as a spam if they find the comment odd.So try to avoid it. Even though you have written a high quality content,you cannot get traffic directly from google as there might be much competition for the same content for what you have written.Hence find alternatives, by which you can get traffic from sites like Facebook,Google+,Twitter,Pinterest,Reddit and StumbleUpon.For me Reddit brings a lot of US traffic. Try to get involve in various groups that are specialized in topic related to your blog, is a great way to get traffic to your blog.Try to share other people's post's on Facebook or on Google+ ,which in turn lets your posts shared by them. All the major search engines allow users to submit their URL's to their search engines,to index their site easily and quickly.There are also many directories,that you can submit your site to them.But one should be very patient because results do not happen overnight.Sometimes it takes week's to get indexed and for the blog to show up.This is the best way to crawl it and pick it up someone's search results. Ones your website is looking good, start Guest Posting which brings traffic to your website.Guest Posting Or Guest Blogging means writing and publishing an article on someone else's blog or website.This means you write an article on someone else's blog and he must include a link to your blog somewhere usually in the beginning or in the ending.This will raise the value of your blog to Search Engines like Google,Yahoo and others. By this you not only get traffic to your website but also Backlinks for SEO, and an opportunity to built a relationships with other blogger's. Having considering all the techniques but don't even forget to update your blog often.Try to keep your blog fresh by spending some quality time keeping your content interesting.Try to post the contents which are trending and to which users are attracted to.To make your blog popular and famous will definitely takes time so have patience and work hard with determination which will surely leads to success. Does your website is ignore by Google? You shared your website on all great sites? But failed to increase the traffic to your site? You want much more traffic to your site or blog? Then you are on the right place.Just follow the simple steps which are the most important parts of SEO. 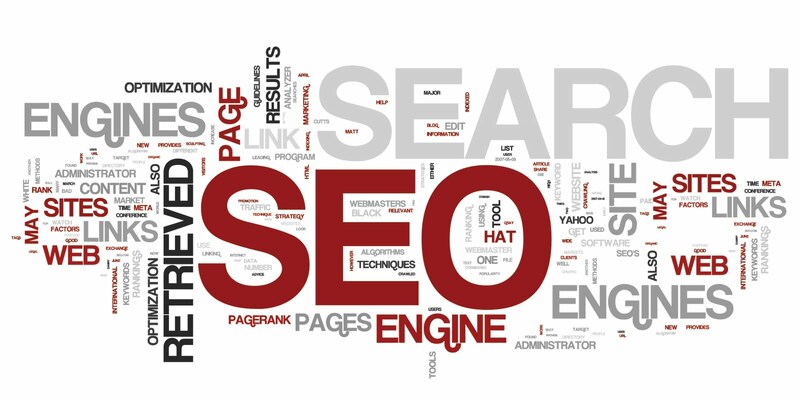 Seo Stands for Search Engine Optimization which has its own set of rules and strategies to increase the position, i.e. Ranking of your site in the search engine's such as Google. Most of the others just go keyword plane in Adwords and search for appropriate words and the words which have great searches they use them. But this is a big mistake most of the bloggers do. Because if you use a keyword which has the highest number of searches there will be a lot of competition to such words and its difficult to beat them and hence one should select the words which have medium competition by which you can beat those competitors. Never Ignore your old posts reasoning that they are of no use. There are great ways to link your old post to the new one the new one All you need to do is just make a link to your old post and keep it in the new post the google robots re-index your old post and give u highest rating. Write for reader's not for search engines. This is a big mistake done by almost everyone in this field.Before writing any topic once make sure that reader's are interested in that topic or not. Most of the people write posts based on the keyword plane, which has the highest number of visits. Hence write for reader's who prefer those topics, but not just for search engines. Title of the Posts is really an important one should consider about it. Ignoring it can make you rank from 1 to 15.. Yes, that really matters. The title of the posts gets indexed by the google search engines and also others. Create a short but attractive title, but don't forget to include keyword. Maintaining your website is of main importance.Do not posts most offensively do it once in a week and promote it for that week and gain traffic, try to keep this schedule. Try to post at least three to four per month.